Autotalk is a live call-in Radio Program helping the consumer save money on car repairs and purchases, while directing listeners into service facilities and informing them about our advertisers products or services. Autotalk is syndicated on the Weekend Radio Network by Clear Channel Satellite Services. 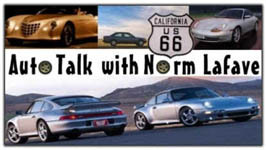 Autotalk provides, Automotive News, Car Buying Tips, Vehicle Recalls, Secret Warranty's, Automotive Sport Results, New Vehicle Reviews and live questions from our listeners. Current Stations: KPLS Los Angeles. XM Satellite Radio. have the serial number ready for the technician. Our commitment to our listeners and sponsors is to provide the best informative radio program while giving our listeners reliable entertaining information and providing our advertisers with a vehicle to move products and services.